With school now back in session, it’s time to start thinking about what to pack in the kid’s lunches. I mean sandwiches can only go so far right? 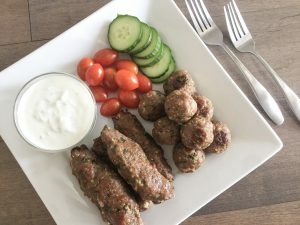 I’ve already been doing some lunch prep and one of the recipes that was a real hit with the kids were these Easy Turkey Kabobs! 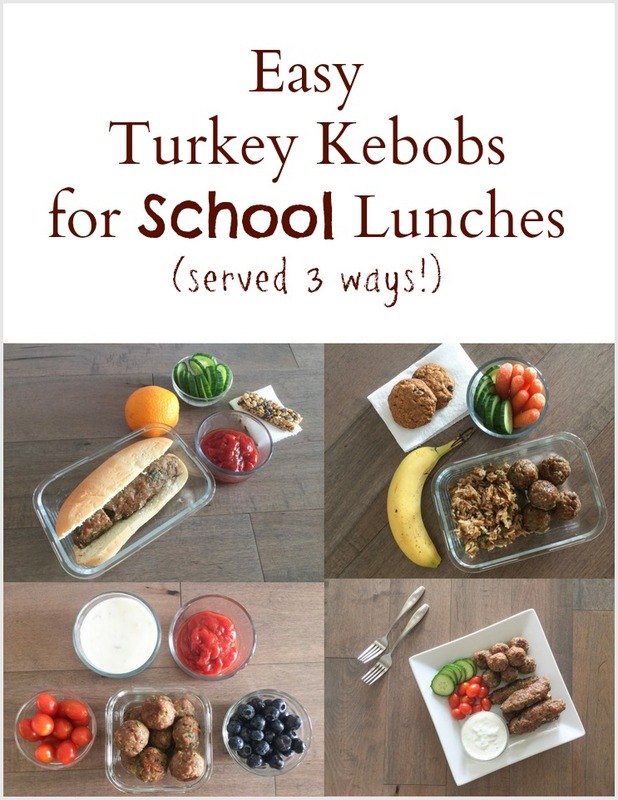 You might not ordinarily think of Turkey Kabobs as something for the lunch box, but trust me, the kids will love it. 2. In a large bowl, add all the ingredients, in the order they are listed. 3. Mix until everything is very well combined. 5. While you are rolling, place each finished kabob on a greased baking tray. Once they are all done, put them in the pre-heated oven. For the larger kabobs, cook them for 25 minutes on one side. Then turn them over and cook them for another 10 minutes on the other side. To give the turkey kebobs a nice golden brown color, broil for another 2 minutes. 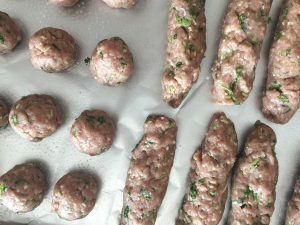 For the smaller meatball kabobs, Cook for 18-20 minutes on one side. Then flip and cook for another 8-10 minutes on the other side. Then broil for 2 minutes. If you’re in a rush and don’t have time to bake the turkey kabobs, you can just broil them from the start. But make sure to keep a close eye otherwise they will burn. Broil for about 7-8 minutes on each side. Let them cool a little before serving. These easy turkey kabobs go great with a side of ketchup, raita or even on their own. 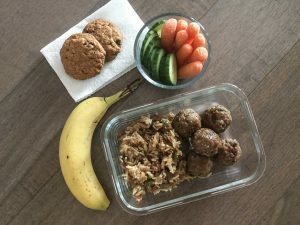 With this recipe I’m sharing not just one, but three different ways to serve them in the kid’s lunch boxes. So if you make the recipe once, you’ll actually be able to get three lunches out of them for the kids. Now how great it that? 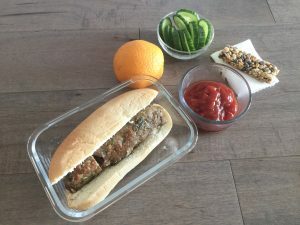 My 8-year old loves eating kabobs in a hot dog bun! Add a little ketchup and it’s perfect for the lunch box. Another take on this is to put the turkey kabob in a wrap with some yogurt or hummus and top with some lettuce or cucumbers, equally yummy! If you have some leftover rice, put the turkey kabobs right in there. It’s great for those kiddos who prefer a bit of a hot lunch. And last but not least, every kid loves dipping their food. 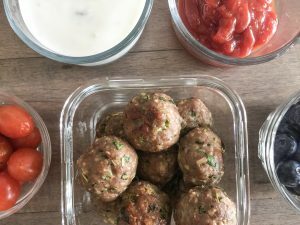 So served the turkey kabob meatballs with some ketchup or raita (a yogurt dip) for a fun, yummy and healthy lunch. These easy turkey kabobs can be made ahead of time for the upcoming school week or frozen for a lunch (or even dinner) down the road. 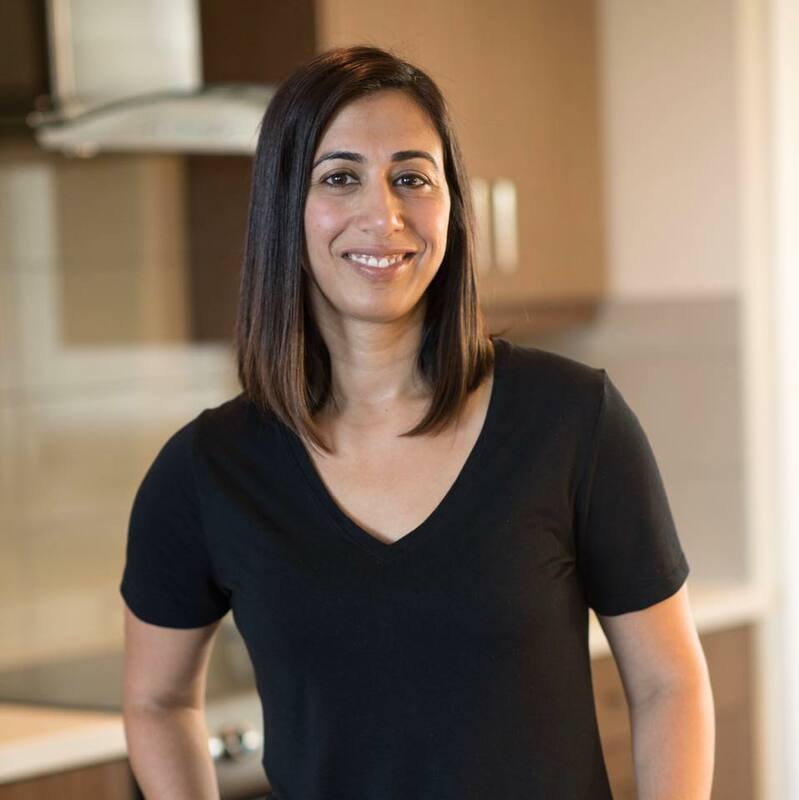 Not only is Canadian Turkey a healthy alternative, it also packs a big punch with almost 30 grams of lean protein in every 100 gram serving. Turkey also has other nutrients like vitamin B12, iron, selenium and zinc, all important for a healthy little body. Turkey is a great alternative to traditional meats used in kabobs like beef and chicken and it’s much leaner. In fact I’ve used turkey as a substitute in a bunch of our favorite meals like tacos and pasta! For more nutritional information on Canadian Turkey, click on this LINK. Love turkey! It is hard for me to find halal turkey often though. 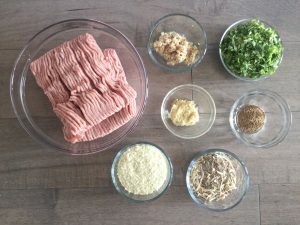 I also love making turkey meatballs! Looks yum, and so easy! Definitely gonna try 🙂 Thanks for sharing! !